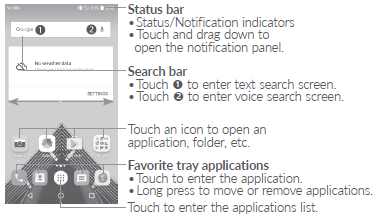 The alcatel Idol 4 user manual provide detail reference information such as device layout with menu and key functions, tutorial Inserting or removing the SIM/microSD card on page 19, using home screen, Quick settings panel, Lock/Unlock your screen, Settings\Boom Key, Using the Onscreen Keyboard, Making a call, etc. 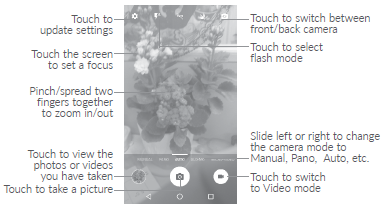 Then about Managing multiple calls on page 37, GSM call settings, Use Quick contact for Android on page 43, tutorial Importing, exporting and sharing contacts, Connecting to the Internet, wi-fi settings, on page 62, using browser, Connecting to Bluetooth devices on page 68, and more. Other important information such as about Connecting to virtual private networks on page 71, Connecting with devices through NFC on page 73, using Camera/Camcorder, and device settings on page 88 for example Encrypt phoneBackup & reset, Factory data reseton page 99, System updates on page 103, also Troubleshooting on page 108.